Hi everyone! Work and school these past few weeks have been really tough lately, so updates are going to be a bit sporadic for the time being. I’ll try to get pages up when I can, but unfortunately I can’t promise anything weekly. Thanks so much for your patience and understanding. I’ve had a really busy week, so unfortunately I wasn’t able to finish this week’s page. I’ll try to have it down late tonight/early morning tomorrow. For those of you in the US, have a nice Thanksgiving! Hey! Have you checked out Combine yet? 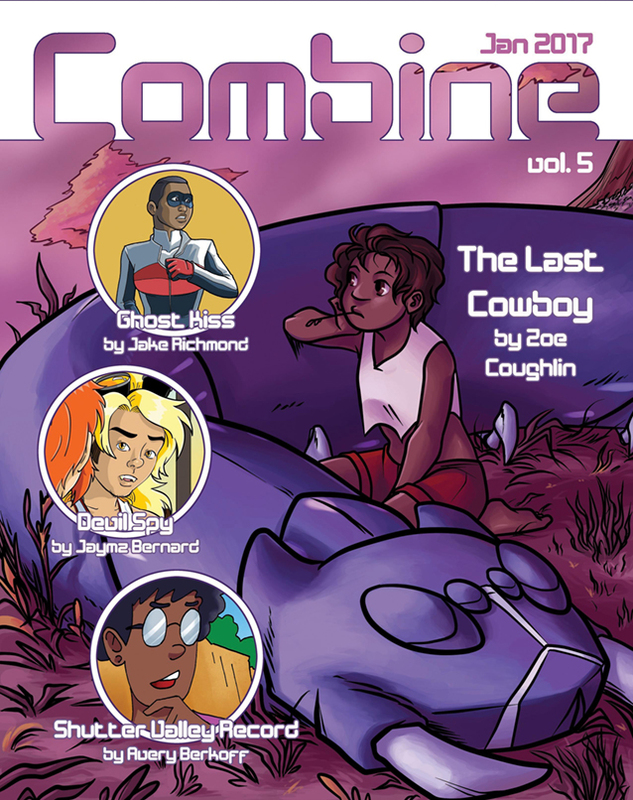 Combine is a sci-fi comic magazine that I’m super excited to be a part of! 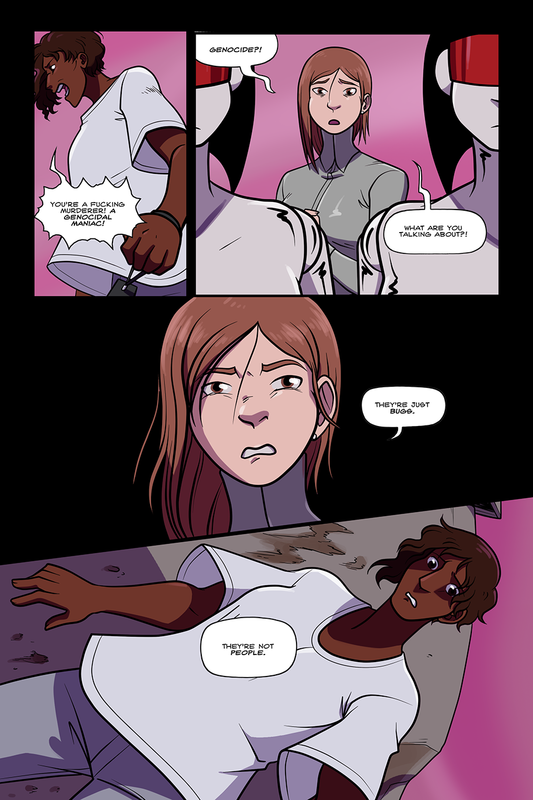 TLC is currently being serialized inside it, along with three other lovely comics. I drew the cover for #5, and #6 will be out May 31st. Hit up the patreon and subscribe now for some great sci-fi comics! Hello everyone! Guess what, I’m moving! 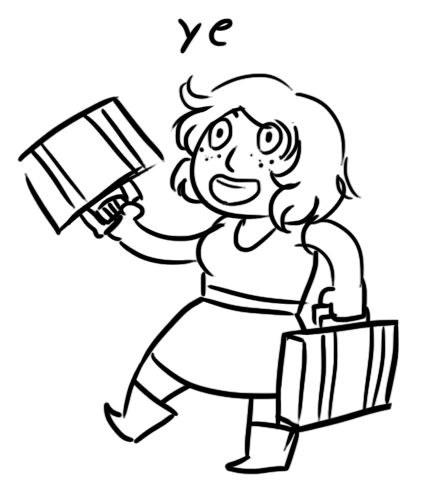 Only about 30 minutes away from where I am now, but I’m pretty hype about it. There is a pool there and it rules. So right now I’m very busy with both schoolwork and packing, so I’ll be putting comic work on the back burner for a little while. The comic will update this Friday, the 10th of March, but I will most likely miss the next few. For now, I’ll say that my tentative return date is March 31st. It all depends on how fast we get everything sorted out, but updates will definitely resume near the beginning of April. 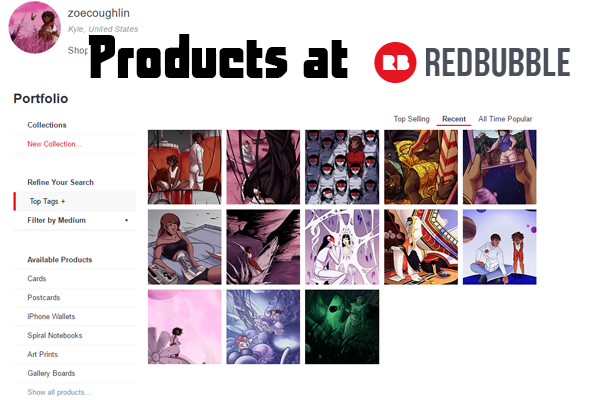 I just opened a new store on Redbubble! Like the other storefronts, it has prints, but also tons of other unique products. Phone cases! Throw pillows! Stickers! Nice! You can check the shop page for links to all the places where I’m selling my work, including books, .pdfs and prints.